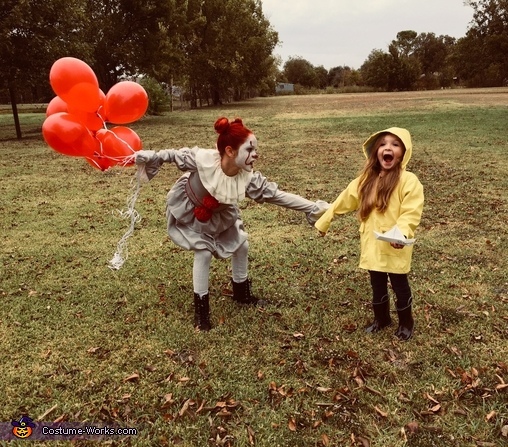 My daughter, Carson(10) is Pennywise and my youngest daughter, Mixie(4) is Georgie. These are characters from the movie IT. The famous sewer scene! They loved it!